I have to state from the start I am a self proclaimed lover of Kyle Phillips designed golf courses and his design philosophy. I love links golf and how Kyle is helping to take that style of play around the world, all be it with a modern twist, is all credit to him. 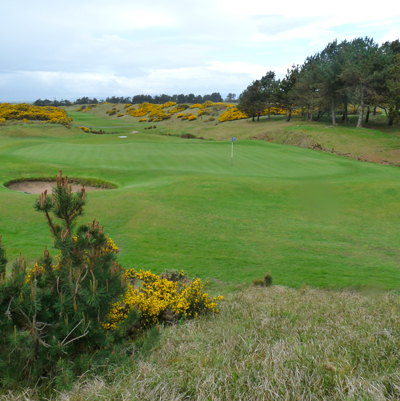 You can imagine my feelings when I read Dundonald Links was on our itinerary. 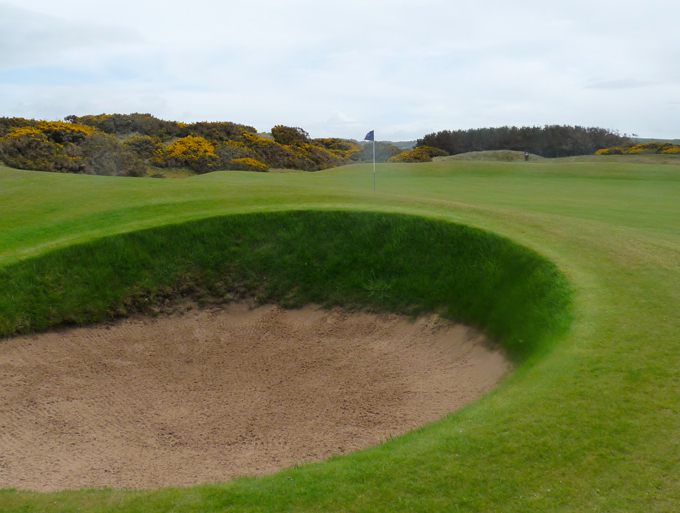 The course opened for play in 2003 and sits among other great courses like Western Gailes,Royal Troon and Prestwick, but once there and walking through those heather covered dunes you would think it had been here for centuries. The truth is, that only some of those dunes existed before 2003, the rest of the course was flat. It was the genius of Phillips’s imagination that brought the rest of this course to life and what a great experience it is. With four tee options ranging from 7,100-5560 yards you have a choice of how difficult you want your day to be. But from the opening 460-yard par 4 to the 560-yard finishing hole you will love every minute of this track. With all the other great courses in the area, what better place to play golf. You can see Western Gailes from across the train tracks, especially when standing on the green at the par 3 15th, its a perfect venue to make a 36-hole day, Dundonald Links in the morning and Western Gailes in the afternoon, now there’s a days golf you wont ever forget.